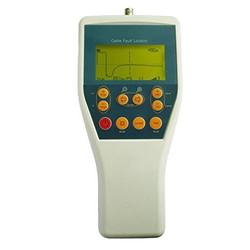 Cable Fault Locator is a precision instrument, easy to use, which provides spontaneous display of the location of break in pair wires and cables. VTC 620 Cable Fault Locator is a portable field instrument working on TDR and bridge methods, adopting advanced micro electronics technology. 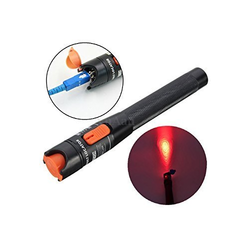 It is designed to locate accurate fault points in such cables as telecommunication leadsheathed cable, plastic cable or user’s lead covered wire, while the faults include break, mix, earthing, defective insulation, or poor connecting. 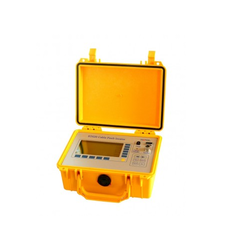 It is and ideal function stable instrument for the field operator to improve work efficiency, in addition, it can also be used for circuitry project checking electric property testing of the cable. Manual measurement is also available. Master version displays the map of investigated district and cable location. Such mode is called «cable map» and contains a clear graphical information, which is very convenient for quick locating of the trace. The arrow is used to control the "friend or foe". Zigzag sewing and embroider can be switched easily .Changed presser foot to double roller presser foot, can sew undersized Mocha shoes.Good construction design, suitable for many kinds of materials sewing.Suitable for sewing shoes, bags, sofa, sport articles and hats etc. In line with clients' diverse requirements, we are involved in providing an optimum quality range of Window Horizontal Blind. 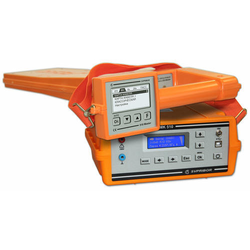 depth measurement and signal circuit with one-time record in the file;In active mode the 510 Master allows you to verify 4-frequency signal 273 Hz,2 187,5 Hz, 6 562,5 Hz, 26 250 Hz and could be used as a unit with Signal currentsource MK 510. Also, at any frequency in the range from 200 to 35 000 Hz with the use of another Signal current source. Looking for Cable Fault Route Locator ?